I dunno what happened. Was the Nutella too gooey and dense? 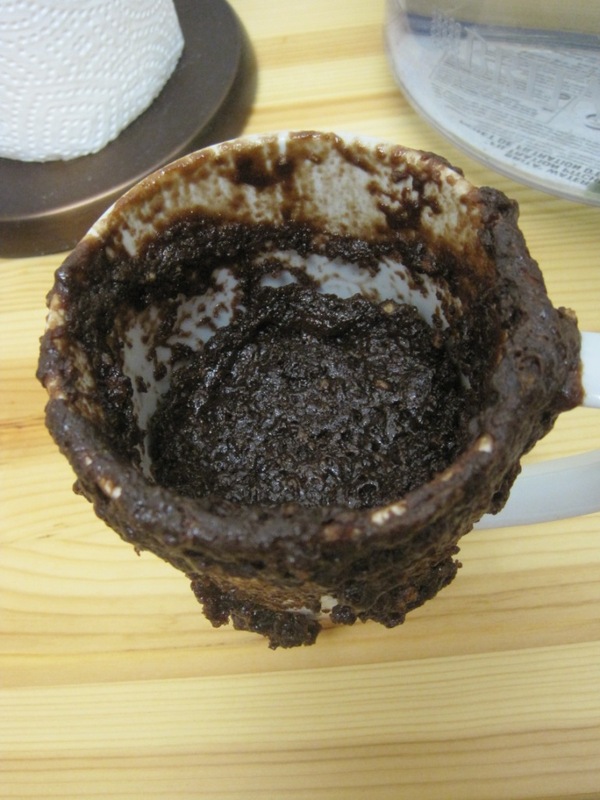 In any event, the filling spilled over and out of the mug, and it still looked a bit gooey after 1 minutes, so I nuked it for another 30 seconds. It looked okay. 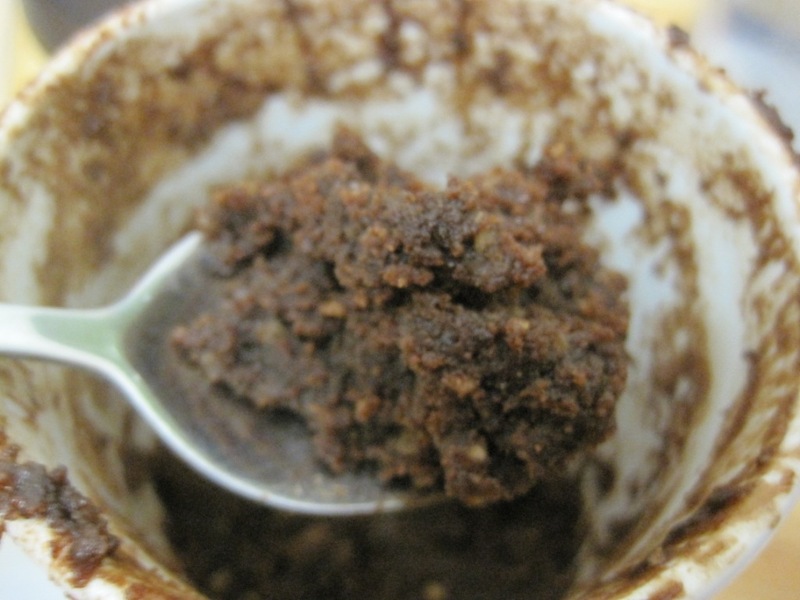 Was nice and chocolatey and gooey… very much so like a fudge brownie. A bit too sweet, but perhaps that was due to the overwhelming presence of Nutella. But I wanted something sweet, so I guess it hit the spot. Perfect to wash down with a glass of ice-cold milk. Yum. Combine all ingredients into an oversized mug. Mix with a small whisk until batter is smooth.